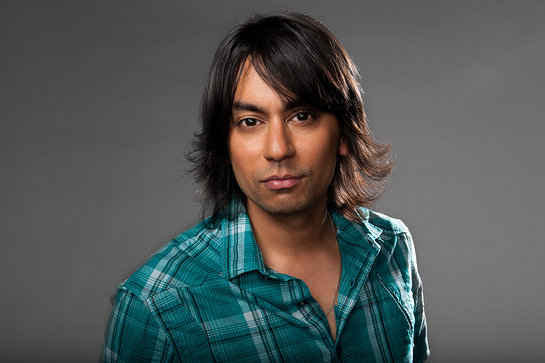 Best known for playing Lester Patal on NBC’s Chuck, Vik Sahay is also a keen supporter of charity. LookToTheStars.org recently sat down and chatted with him about philanthropy. Why did you choose to support the charities you work with? Creative Coalition is concerned with arts in education. I went to an all arts high school and know how it opened up the world for me. They also encourage public figures to become informed and active in the democratic process, which I think is really important. How long have you supported them? I attended an event a couple of years ago at the Toronto International Film Festival and a year later presented at their TIFF Spotlight Awards. I was very impressed with what they do and joined last year, after participating in Robin Bronk’s book, Art and Soul, came out. I’ve attended events for Operation Smile and LA's Promise and think very highly of the work both groups are doing, especially LA Promise who are also focused on education on the local level. Well, I really think that most people, if they didn’t have to think about how to lend support, if it was all in pushing one simple button, would. It’s about being distracted and good intentions and never quite finding the right handle. So it’s mostly about complacency. All it takes is creating the window to think about it and focus on it. I think that they can lend visibility to a cause that needs to have its moment in the 24 hour news cycle, which is tough. It’s a way to give back. I was so moved by an evening for the Somaly Mam Foundation that I attended and recently watched the documentary Half The Sky, which everyone should see. I want to get involved with the health, safety and education of girls. If you had your own charity what would be called and who would it benefit? I think I’d call it SHOOT THE MOON. And I’d raise funds to send gifted artists from poor backgrounds to conservatory programs as they leave high school. That high level training as entree into a career is so important. It’s a place where I feel a lot of talent gets left behind. 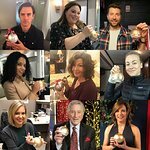 What projects are you working on at this time (films, TV, charity)? I just finished shooting a pilot in Canada called Satisfaction and am waiting to hear if it gets picked up. I also did an episode of BONES for Fox, which will air in January and a film called MY AWKWARD SEXUAL ADVENTURE premiered at TIFF but will come to the US next year as well. I’m also very excited about the film WER, which I shot in Bucharest, Romania with director William Brent Bell. I help solve a gruesome crime. It’s my first leading role in a film like that, and its coming to theatres in March or April next year.